Chandler-Pepelnjak, J. 2004. Forecasting Reach, Frequency and GRPs on the Internet. Atlas Digital Marketing Technologies, www.atlasdmt.com. Danaher, P.J., J.R. Rossiter. 2006. 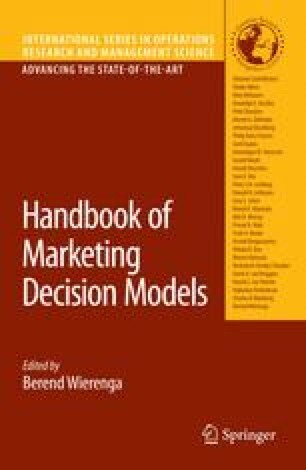 A Comparison of the Effectiveness of Marketing Communication Channels: Perspectives from Both Receivers and Senders in Consumer and Business Markets, accessed at http://staff.business.auckland.ac.nz/pdanaher. Meskauskas, J. 2003. Reach and Frequency – Back in the Spotlight. iMedia Connection, www.imediaconnection.com, 5 November. Smith, D. L. 2003. Online Reach and Frequency: An Update. April, http://www.mediasmithinc.com/white/msn/msn042003.html. Video Research Limited. 2006. Service and Products. http://www.videor.co.jp/eng/products/index.html#analysis.